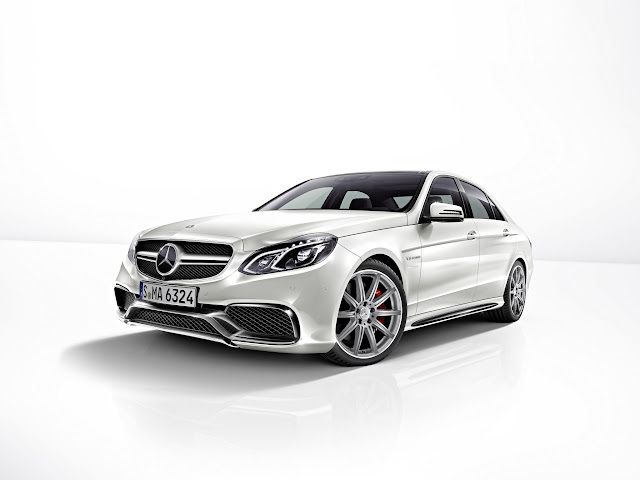 Mercedes customers not content with a mere E 63 AMG can soon buy an E 63 AMG S which has a bit more power, a bit more speed, a bit more fuel consumption, a bit more kit and costs a bit more than the standard AMG. The E 63 AMG S uses the same 5.5 litre, twin-turbo V8 as in other AMG V8s but produces 585hp and 590 lb ft of torque - up 28hp on the E 63 AMG. 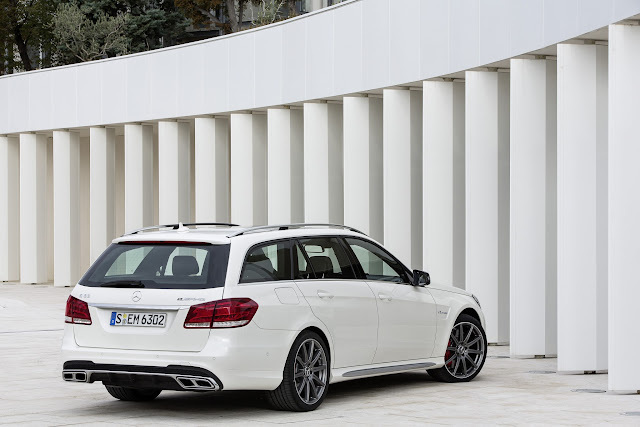 This is enough to power it to 62mph in 4.1 seconds in the saloon and 4.2 seconds in the estate. Fuel consumption drops 0.5mpg from the E 63 AMG to 28.3mpg in both the estate and saloon. AMG S exterior trinkets include a high-gloss black front apron, side-sill panels and rear trim strip and a body-colired AMG rear spoiler. 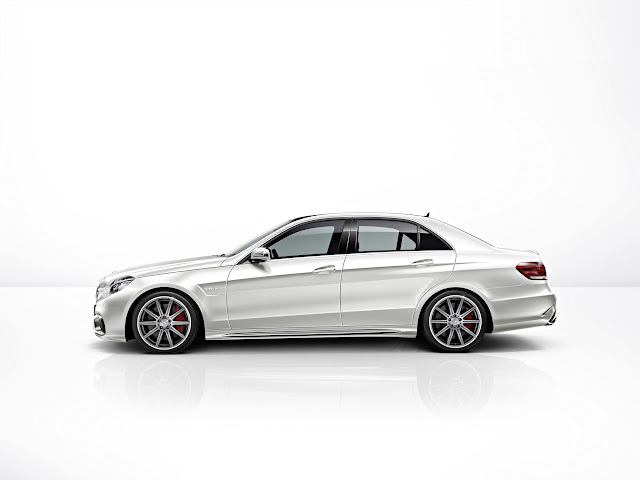 It also gets 19" AMG alloys in Titanium matt grey. Inside and you get such things as black nappa leather seats, silver seat belts(! 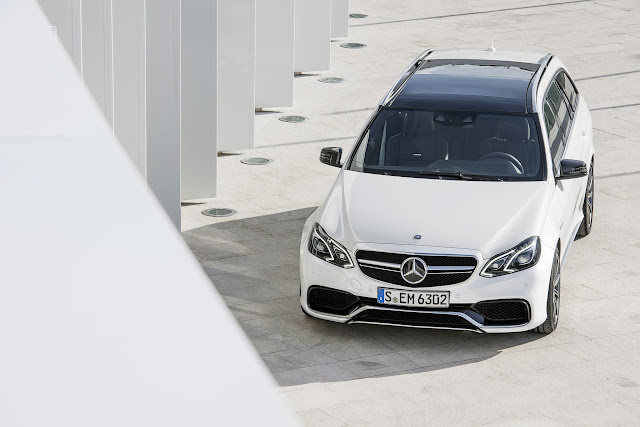 ), an electric rear blind in the saloon version and an AMG instrument cluster. 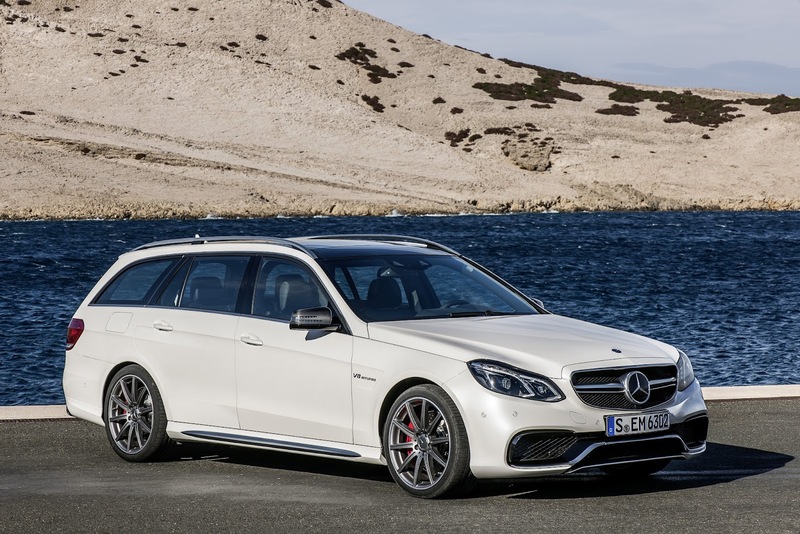 The E 63 AMG S estate costs £85,530 and the saloon costs £83,740. Seven standard metallic paints are available. 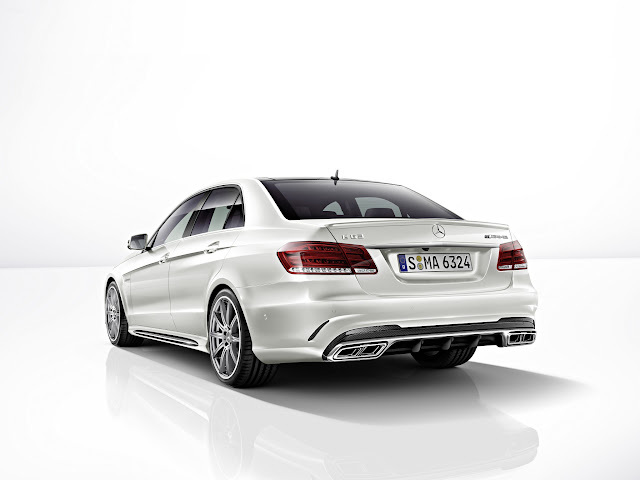 We've seen seen the optional Allanite grey matt paint on other Mercedes. It's a £2,775 option on the S but looks sensational.